International (MNN) — At a time of unprecedented Christian persecution, the demand for access to the Bible is greater than ever. 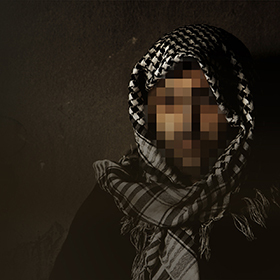 A report by the UK office of Catholic Charity Aid to the Church in Need (ACN) states that Christian persecution reached an all-time high between 2015 and 2017. But that isn’t enough to squelch the fire in the hearts of people groups who want to read the Bible in their native tongue. “Despite the pressures, the thirst for God’s words is only increasing. 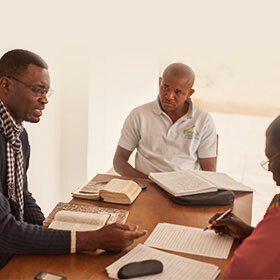 Even though the circumstances for Bible translation are perhaps more threatening or insecure than they have been at other times, the readiness and the willingness of local believers to engage in local translations is at an all-time high,” says Bruce Smith, president and CEO of Wycliffe Associates. Wycliffe Associates, which is one of the world’s leading Bible translation organizations, empowers national Bible translators to provide God’s word in their own language. It collaborates with the local church to direct and guard translation work and engages people across the globe to provide resources, technology, training, and support. Smith explained what is being done to speed along the translation process. In addition to speed, Smith said that quality is also improved with the utilization of local people who are experts in their language. He added that when translations are done for locations that are insecure, Wycliffe moves believers to a secure location while they do the work. But they understand the value of their efforts. Of the 7,097 languages spoken in the world, 2,758 languages are still in need of a Bible translation project and that knowledge is what drives Wycliffe to continue moving forward. Despite the record-breaking progress, Smith says that the organization has a backlog of about 300 languages groups waiting for a Bible in their tongue. Wycliffe Associates also asks readers to consider supporting their work financially. To make a donation to Wycliffe, call 1-800-THEWORD or visit them online here.